This battle would be indecisive in its opening round mainly due to the fact that the fortresses require the attacker to roll a 6 on a six-sided die in order to score a hit. 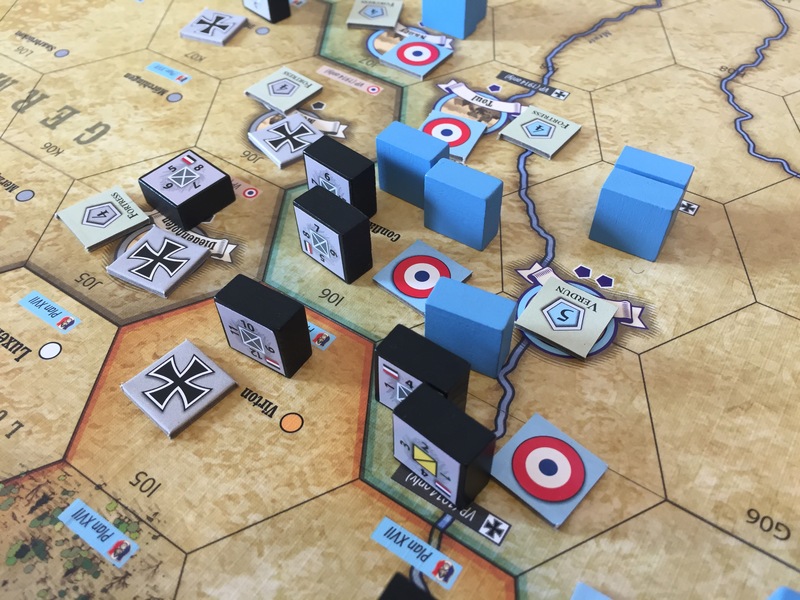 The battles in Fields of Despair are very attritional and will usually take several well planned out and sustained attacks using artillery barrages to win. The artillery piece known as “Big Bertha” controlled by the CP can be used as a rail gun by spending a Logistics Point to fire at fortresses. This huge gun will do damage to fortresses on a roll of 5 or 6. 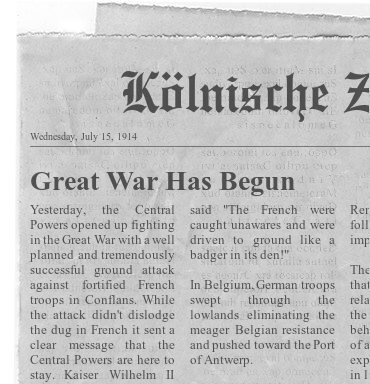 I used this tactic to begin whittling away at the fortress at Verdun which would require 4 hits to be destroyed. This strategy would take a few rounds and I was patient and saw it bear fruit…eventually. Previous Previous post: Best 3 Games with…Deduction!